It’s easy to forget that Muscat is just a 45-minute flight from Dubai. Drive another two hours up to 2,000 metres above sea level and you’ll find yourself in the heavenly mountain retreat of Alila Jabal Akhdar. Which is where I recently found myself in an effort to find the most perfectly peaceful retreats for those who need to unplug, refresh, and recharge. We were greeted at the airport by a driver (care of Alila Jabal Akhdar) who was incredibly courteous, prompt, and polite. 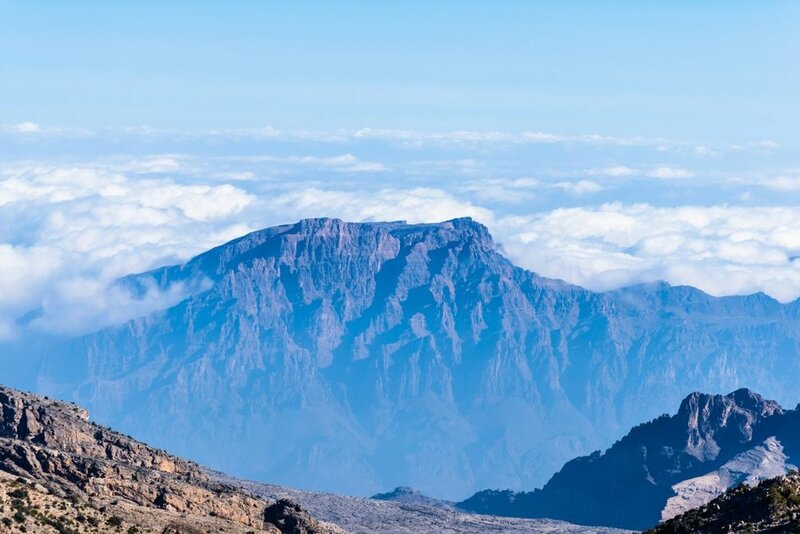 The scenic drive took us past old Omani forts, herds of goats jumping around, and a jaw-dropping mountain terrain with eagles soaring about in the sky. If you choose to drive yourself, know that 4WD is a must and you’ll encounter a check point before embarking on the steep incline towards the hotel. The super friendly Omani staff will ensure you have full insurance, your car is in good nick, and you understand how to embrace the sweeping road leading up to your haven. Prior to our trip, we were sent a lifestyle concierge survey to fill out, which I just loved. We could specify anything and everything, from pillow types (firm? body length?) to how we’d like our fridge stocked! What a perfect way to make sure that everything is in order prior to your arrival so you can completely relax the moment you step foot onto the grounds. Well done, Alila! As we pulled up to the Alila Jabal Akhdar sign, the driver stopped, rolled down the windows, and told us to “breathe”. I don’t know if he was instructed to do so per brand guidelines but no matter—the moment that pure, fresh mountain air hit my lungs, I knew we were in for something truly special. 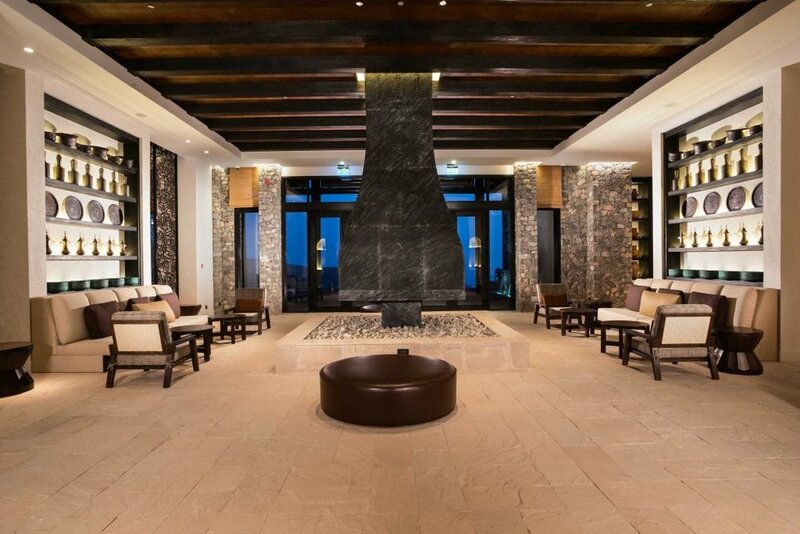 This discreet luxury resort was designed to be in harmony with the surrounding environment. 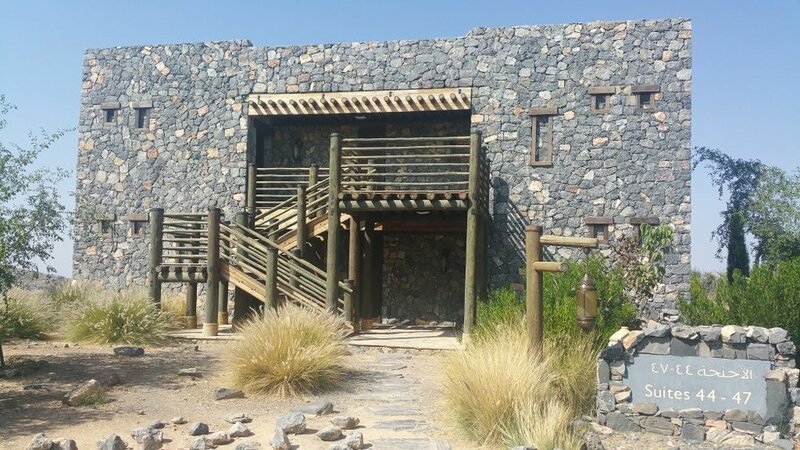 Taking inspiration from ancient forts and incorporating traditional Omani stone construction techniques, the structure blends into the natural beauty of the Al Hajar Mountains. The arrival staff (in fact, all of the staff) were courteous, happy, and warm throughout our stay. and what a delight to be greeted with Omani coffee, sweet and flavoured with cardamom, and a platter of fresh dates. The perfect combo to refresh and revive you after the drive! There are 86 suites and villas at Alila Jabal Akhdar, spread between the main building and small clusters around the clifftop property. We stayed in the most magnificent suite with a generously-sized twin room, a roomy walk-in wardrobe, a gigantic stone bathroom with a bath and shower, amenities including bathrobes, slippers, and a full range of Alila products, plus thoughtful extras like a torch for the evening stroll to Juniper Restaurant. With the dark wood furnishings, neutral tones, and minimalistic yet well-placed details like little goat curtain hooks, this room had everything you might need to zen out. As lovely as the inside was, however, the outside is the showstopper. Our suite had a balcony with plush seating from where we could let ourselves be immersed in the stillness of the mountains. All you can hear are the sounds of nature and even those are in hushed tones, as though hesitant to intrude upon the existing tranquility. The breathtaking views of the mountain range that spread out before you will leave you speechless and completely awestruck. Laze about on a sun lounger by the outdoor infinity pool as you feast your eyes upon the incredible view or retreat to the indoor pool if it’s feeling a bit too toasty. You can also wander down a few flint steps to jump into the Jacuzzi for some invigorating bubbles. If you prefer to sweat out your stress, the gym here is equipped with top-notch equipment and an incredible view that may motivate you to keep running those extra 10 minutes! Then take a walk up to the yoga and sunset platform for yet another awe-inspiring experience. Whether you want to drink in the views whilst performing Sun Salutations or pop a cork and bask in the glorious sunset, just make sure you don’t miss out on the most phenomenal moment of relaxation you may ever experience. Juniper is the one and only restaurant on the property but it’s perfect for both lunch and dinner. Chef Dan deserves a massive shout-out for creating the most impeccably satisfying dishes because as fussy as Pra is, not a morsel was left behind. If you can, sit outside and breathe in the balmy mountain air as you graze your way through dishes like Juniper cured salmon with Za’atar, labneh, baby beetroot and lumi vinaigrette, or slow braised beef cheek with brown onion puree, pickled celery, radish, pomegranate, and spiced pine nuts. For light nibbles, settle into the Rose Lounge and let the cosy ambiance lull you into a dreamy daze. I had the Balinese massage, which was phenomenal (high-five to my therapist who absolutely blew it out of the water!) but would love to go back to try some of the other treatments, like sound and vibration balancing or the ‘Mystical Mountain-Sunrise Experience’ which starts with soothing sunrise tai chi, followed by breakfast and 3 hours of therapies. If you prefer to sweat out your stress, the gym here is equipped with top-notch equipment and an incredible view that will keep you running those extra 10 minutes! Or you can take advantage of the incredible outdoors by embarking upon an Alila Experience like the gentle 8 km ‘Discovery Trail’ hike or the more challenging ‘Adventure Trek’ for those with some mountain trekking experience. Pra contemplating how far she could make it on the Hendricks Gin bike! The real luxury of this place is the raw beauty that surrounds you on every side. The immensity of it all puts everything into perspective and serves as a graceful reminder that the mountains were here way before you and they’ll still be here long after you’ve gone. 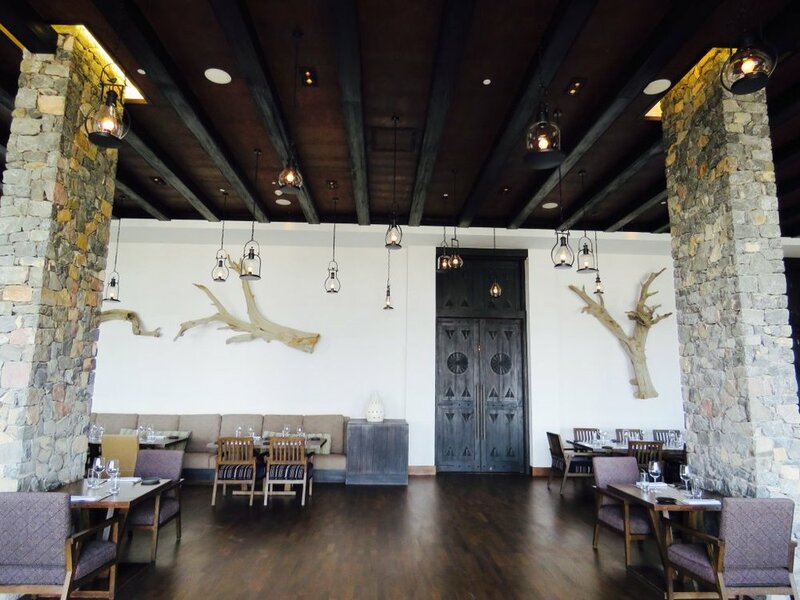 Alila Jabal Akhdar is the perfect 72-hour revival experience that can stand alone or even be blended with another Omani stop.